Gatwick Airport has apologised after a staff shortage forced hundreds of passengers to go home without their luggage and left others waiting for up to five hours to reclaim their bags. 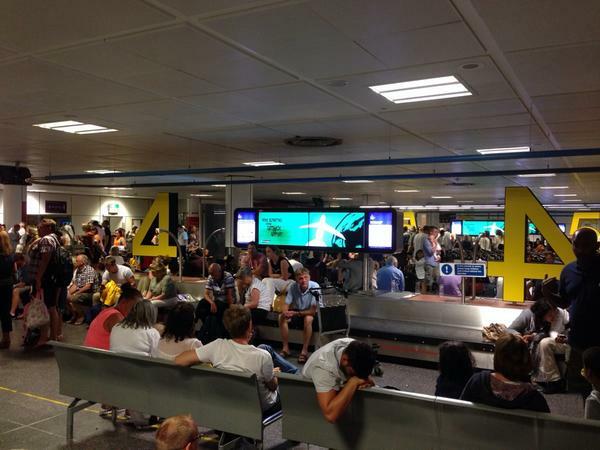 Many travellers took to social media to vent their frustrations at the disruption. Officials at Gatwick said passengers will be reunited with their luggage within 48 hours as baggage reclaim at the airport returned to normal. Passengers have complained of long delays at Gatwick Airport to pick up their bags, after the airport's baggage handlers Swissport suffered "resourcing issues". Delays of up to three hours were reported by many. Pulling an 'all nighter' with my 700 friends at Gatwick North Terminal Baggage Reclaim, bring water.